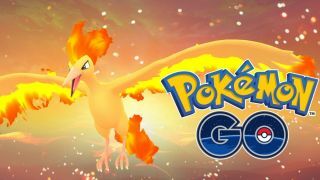 A new Legendary Pokemon has appeared in Pokemon Go - the fire bird Moltres. This uber-powerful 'mon can be found at gyms all across the world, ready to be battled and (potentially) captured via the recently-implemented Raids system. Not sure what to throw at Moltres to be the most effective? Water types are a safe bet, but Rock and Ground types are also good choices. Vaporeon, Omastar, Gyarados, Golem, and Rhyhorn can all be solid contributors to a fight. If you're having trouble finding an active Raid or live in a less densely-populated location, try using the website Gymhuntr. There, you can plug in your zip code and a scan will show you which gyms nearby have active raids, as well as what Pokemon are currently stationed there and which team owns said gym. If you haven't tried out these new Legendary Raids, let me tell you - they're tough. You'll need a group of at least a dozen people, more if any participating players are on the more casual side and don't have, say, an army of Golems with perfect stats. If you want to coordinate with your fellow trainers, I suggest checking for local groups on Facebook. You might even get an invite to a Discord chat group so you can keep up on Raid progress in real time. Once you've taken down Moltres in battle, do your very best to be accurate with your ball throws. Your chance at capturing it starts out at a measly 2 to 3 percent, though you can increase that by feeding it Golden Razz Berries and getting a "Nice! ", "Great! ", or "Excellent!" on your throw. Still, don't be surprised if you have to battle this fiery fowl a few times to add it to your collection. You'll have until August 7 before it's replaced by Zapdos.